Celebrate a day of food, fashion and fun! Once again, the City Opera Thrift Shop is cooking up a special event to celebrate the joy of the culinary arts! Be among the first to preview the collection of vintage cookbooks and unique kitchen and dining accessories at great prices. Enjoy the best cuisine and desserts from NYC’s famed gourmet food trucks in one location, and the best vintage and flea market shopping. The Treats Truck and the Frites N' Meats will be there! 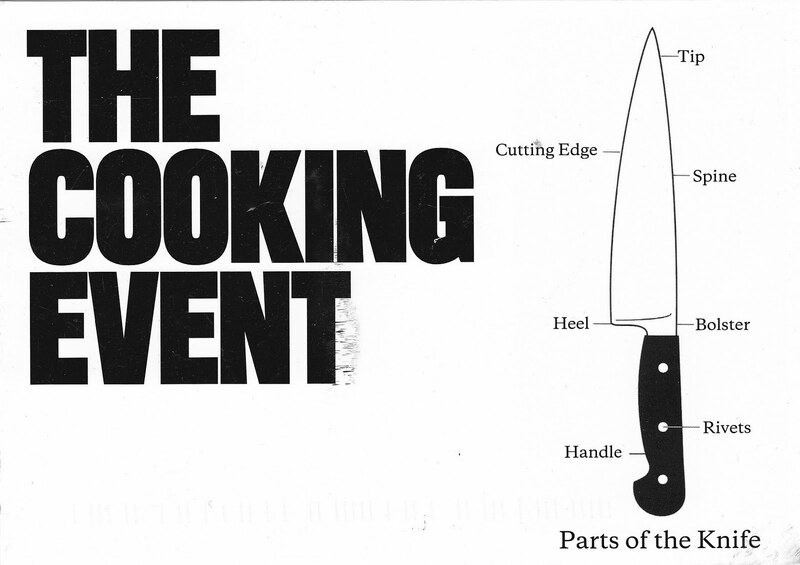 This Sunday, May 2nd, from 11am to 4pm at the Hell's Kitchen Fleat Market. If it rains, the event will happen the following Sunday. Tasting Spanish wine that can't find in the US is always an adventure because you don't know what to expect. And if the tasting is paired with amazing canned and cured fish and "gammon" from Spain, the adventure becomes far more pleasant. I was impressed with the Aecovi-Jerez Sherries from Andalucia, served in a wine glass - a detail I ignored. Light, fruity and easy to drink, the Sherry pairs perfectly with oysters and salty nuts. I also liked all three Cavas (the Spanish "Champagne"). The first, the Pere Ventura Tresor, a blend of 40% Xarel-l0, 40% Macabeo and 20% Parellada was fruity and citrus with a decent level of acidity. The second, the Pere Ventura Cupatge d' Honor, a blend of 70% Xarel-lo, and 30% Chardonnay was far more complex. Finally, the rosé (Pere Ventura Brut Rosé) 100% Trepat is perfect for an aperitif and with chocolate even. I didn't taste many Reds, but I remember the strength and the spices in all three: Hacienda Sael 2009, Solar de Sael 2007, and Solar de Sael Crianza 2006 - all 100% Mencia. The culinary adventure was delightful. For the first time, I tried and was impressed with the Dry Salt Cured Tuna Loins, a perfect balance of fish protein and salt and the Smoked Tuna, another surprise even for a food writer. The Dry Salt Cured Mullet Roe was unique but not for me. On the whole, the Ricardo Fuentes products were outstanding. The Cudie caramelized almonds covered with powdered cocoa or dark praline (of various recipes) were also a unique sweet experience worth mentioning. Finally, the Chestnuts in syrup with white Godello white wine, Mencia red wine or Albarino white wine were a mouthwatering, local, Spanish specialty. Although I am way far from being a Spanish food and wine expert, I publicly admit that Spanish food is refined and elegant. When it comes to its wines, I will have to explore them in depth to form an objective opinion - they definitely have potential. 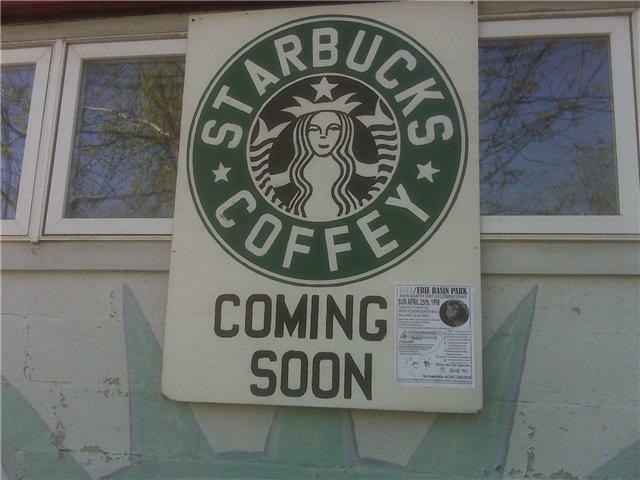 While strolling leisurely in Red Hook last week, I saw the famous sign "Starbucks Coming Soon". Main street Van de Brunt will be happy to host a Starbucks coffee shop? It seems that it will take a while before they open as they start the works now. If I remember correctly, it will be just across Baked. I admit openly my ignorance when it comes to Argentinean Wines. But the Consulate of Argentina kindly organized and invited me to a wine tasting this week. I had the chance to become more knowledgeable on the topic of "wines of Argentina" and to taste a few. I started with Whites and I was surprised to see so many Chardonnays, all of them light and refreshing. I learned that the Torrontes grape produces the characteristic white wine of Argentina, a local and unique grape. The Torrontes were all fruity and aromatic, a delightful experience especially for the summer months with fish, meats and salads. I particularly liked the Laborum Torrontes (2009, El Porvernir de los Andes), spicy and sharp. Argentina is the world’s fifth-largest wine producer, and it is mainly famous for its Malbec. The rich, earthy red has become Argentina’s signature grape, and most experts agree that the best Malbecs in the world are produced there. So, all Malbecs were "interesting" but as summer approaches, I would go for the whites. But one of the best - indeed exclusive - was the Arabela Sparkling Brut Rose (2009, Estancia Las Canitas), a nice, rich but fresh sparkling rose, perfect not only for the summer but for a nice aperitif throughout the year. Guests also tasted healthy, tasty and well-presented food: cheese platters with nuts and dried fruit, amazing prosciutto and salami, blueberry, raspberry and strawberry fruits and tiny salmon sandwiches. Passed hors d' oeuvres included warm cheese, mushroom and meat patties look alike. Before I left, I couldn't resist the dessert "section" so I grabbed one chocolate! 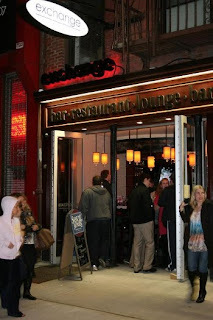 Exchange Bar & Grill celebrated its opening with a media event hosted at the brand new restaurant in the Gramercy area of Manhattan. Party-goers were offered an open bar and a sampling of their hottest menu items including hot wings, calamari, mozzarella sticks, burgers and the signature ‘Exchange’ salad. What is the new concept of this new, sports bar? Well, believe it or not, prices of food and drink fluctuate based on demand on Exchange’s own in-house ‘stock market’. Prices are broadcast on a giant ticker screen that runs the 35-foot length of the bar, posting which items are running below (-) or above (+) market price. If everyone is drinking Guinness, the price of Guinness is going to go up—but consequently, all of Guinness’ competitors (like Killian’s) will go down. If everybody is drink Californian Chardonnay, the price of Californian Chardonnay will go up but that of other countries will fall. 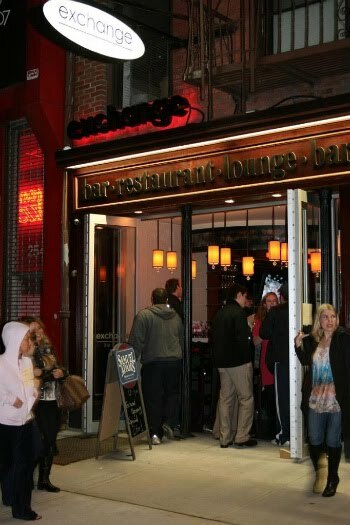 The opening bell rings at 8pm after Happy Hour prices come to a close, and if you play your cards right, you may just end up at the bar during an impromptu ‘Market Crash’—where drinks temporarily drop to $2 for all beers, $3 for all well drinks, and $4 for top shelf, after which point, the market resets itself. 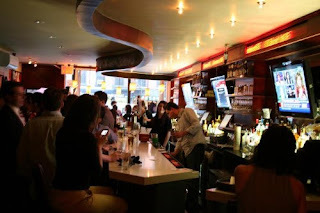 The bar’s unique concept is the brainchild of friends and co-owners Damon Bae (a former stock trader turned real estate mogul) and Levent Cakar (an economist with 11 years+ in the restaurant industry). The lounge-like space features both a bar and full dinner menu, with special lunch & brunch menus expected to be introduced at a later date. In the meantime: Happy drinking! · Flowers & Feathers – David Tutera’s latest bridal collection embraces Flowers and Feathers for an ultra-soft and feminine feel. Brides looking for the whimsical look on their wedding day will need to look no further than David Tutera by Faviana. · Shades of Pink & Lavender– Marina K. Couture reveals that brides can truly be “Blushing Brides” in shades of pink and lavender. · The One-Shoulder Gown – Gone are the days when every bride wore sweetheart and strapless gowns. For Summer & Fall of 2010, brides will embrace asymmetrical bust lines and Grecian-Inspired one-shoulder gowns. · The Blueprint Cleanse – Celebrities are not the only ones embracing a healthy detox. The Blueprint Cleanse is the first nutritional cleanse offering different levels of intensity depending on one’s dietary habits and history. Brides-to-be are looking to the Blueprint Cleanse to not only normalize pre-wedding weight, also to clear skin, increase energy and boost the immune system! 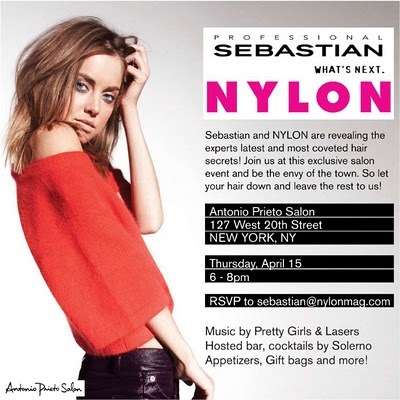 · A Relaxed Bride is a Beautiful Bride – Celebrities are always ahead on the trends in terms of relaxation techniques. Tatiana recommends Serenity Zen Beverage to brides as the perfect calming relaxation drink designed to take the edge off and relieve the stress on a brides big day! With Zero Carbs, Zero Calories, this sugar-free drink has the taste, but won’t cause any pre-wedding weight gain. I have complimentary tickets for ten Fullybooked readers (valued at $50, admits 2) so if you want to attend and you are one of the first ten readers, register at www.WeddingSalon.com with the comp code FBNY4C. Hurry up people! The Young Lawyers Connect - First Thursdays will host their Lord & Taylor Fashion Show and Shopping Event this coming Wednesday, 7.4 at 6:45. 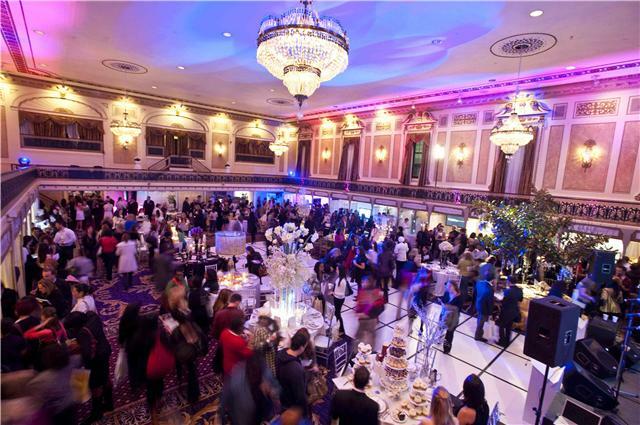 Join them to enjoy fashion, food, networking and more. Beginning promptly at 6:45 pm preview the latest looks for men and women- from the boardroom to the beach. Be sure to check-in early- the first 100 guests to check-in (who registered in advance) receive a $20 Lord & Taylor gift card. After the show, use your savings pass to receive 15% off regular and sale merchandise throughout the store - plus an extra 10% off when you use your Lord & Taylor credit card. Spend the rest of the evening mingling with other young professionals while enjoying the Johnnie Walker tasting bar, wine and hors d’oeuvres. This event is free, but please RSVP online https://www.nycbar.org/cgi-bin/FirstThursdays_10_04.pl or call 212-382-4723. JBF Award Winner John T. Edge will present the magazine The Oxford American’s 2010 Southern Food Issue, (guest-edited by him) a detailed look at the delicious foods of the American South. Based out of Conway, Arkansas, the erudite quarterly documents the vitality of Southern culture and celebrates the very best in Southern food writing. With the immensely-qualified Edge as guide, the 2010 Southern Food Issue promises to be an informative, up-close tour of a cuisine we love. Atlanta figures prominently in at least three stories: “This Is Not What You Dream” by Mamie Morgan, a career server who weaves thoughts on the restaurant profession around a meal at Woodfire Grill and her enthrallment with Kevin Gillespie. John Kessler writes a beautifully reported piece about Darryl Evans, chef at the defunct Spice, and why Atlanta has so few prominent black chefs. And Todd Kliman, food editor and restaurant critic for the Washingtonian, writes a piece about Peter Chang, the former chef at Tasty China in Marietta. Two New Orleans writers also have pieces in the issue—Lolis Eric Elie on the missing African American credit to Creole cooking, and Brett Anderson on Uchi in Austin, Texas, owned by a white man, Tyson Cole, who has genuinely absorbed the Japanese gastronomic aesthetic. When: April 7th, 6pm to 8pm. 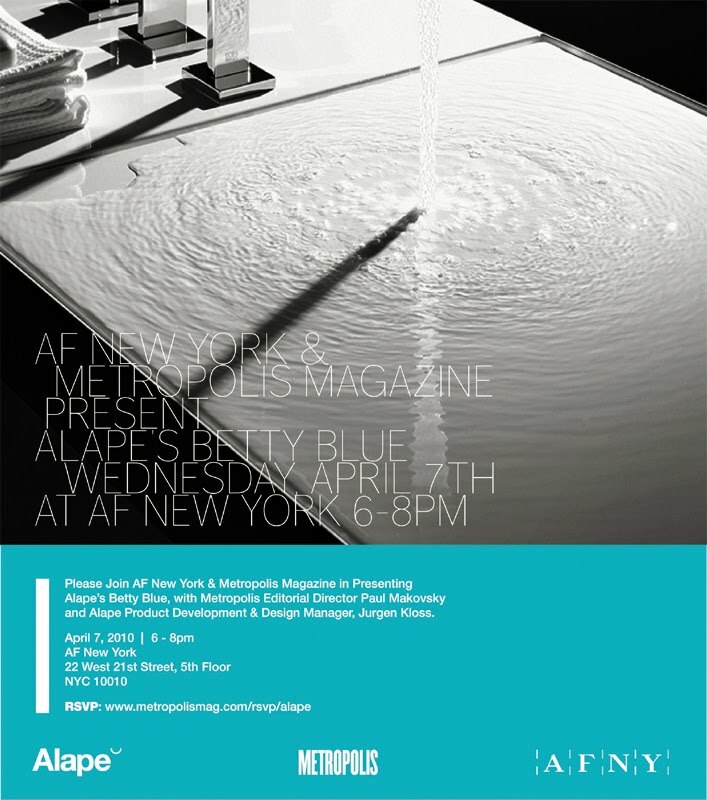 Where: AF New York, 22 West, 21str., 5th floor.